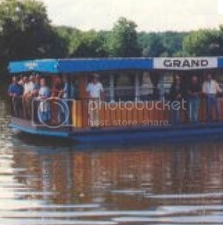 Take a lunch or dinner cruise along a 20 km section of the lower Grand River between Caledonia and Brantford. Since 1978 the Albin Family has been operating two and three-hour cruises from their place along the banks of the Grand River. Choose lunch, or a sunset cruise. Sit back, relax and enjoy.